HomeTagsPosts tagged with "irish novel"
Before 2016, I'd always believed myself to be streetwise. Without tooting my own horn, I was certain that I had a good sense of all the shenanigans that were going on around me. You might imagine my disappointment, therefore, at learning that I’d been living slap bang in the middle of two brothels, and despite all the obvious signs, it took me weeks to realise that these ladies were more than just convivial social butterflies. The first brothel took the form of a massage parlour and was located next to the entrance of my new apartment complex in Dublin city centre. Just after receiving the keys from the landlord, I was busy unloading my suitcases and boxes from the boot of my boyfriend’s car when I noticed a series of men enter and exit the premises – most of whom were in the older age bracket, over 65, say. That evening, inside, as we treated ourselves to a well-earned glass of vino, having unpacked all our wares, I began noticing how frequently the intercom for the apartment directly next to us sounded. I remember looking at the clock at one stage – it was close to midnight, and a school night. As the days passed, our initial admiration for our neighbours’ hospitable nature soon made way for exasperation. It seemed that time wasn’t an issue for their guests’ visits and no matter the hour – be it four in the afternoon or four in the morning – the loud intercom blared resulting in our forty winks been reduced to single digits. Similar to our own, their apartment was on the ground floor. It faced out onto our communal courtyard and I was struck by the fact that their curtains were never drawn; their windows were never open. However, I finally had my lightbulb moment about a week later when two incidents occurred simultaneously that allowed me to properly deduce what was at play right on my doorstep. The first incident took place during the dead of night. My trip to the Land of Nod was suddenly interrupted by the sounds of screaming in the hallway. Never one to ignore a juicy scuffle, I jumped out of the bed, raced to our door and peeped through the spy hole. A young, inebriated chap was storming the hallway demanding his money be returned to him post haste. A male figure then appeared at my neighbours’ door and threw a note at this unwanted figure – who I suspected wasn’t the local pizza delivery guy soliciting a tip. The following morning, I was returning from the reception area having just picked up the post and I spotted a chap waiting outside my neighbours’ apartment. He was handsome and athletic and wore casual clothes while a backpack was draped over one shoulder. I noticed that his face looked somewhat panicked and despite the distance between us, I was certain that I glimpsed beads of sweat on his forehead. Then he did something rather peculiar. Before he became aware of my presence, the door opened and the seemingly devout Christian cautiously entered the apartment. As I passed, for the first time, my neighbour and I locked eyes – she looked Eastern European and was strikingly beautiful if somewhat peaky. My smile wasn’t reciprocated – instead, it received a curt slamming of the door. For the duration of my stay at that address, I was doing a large amount of work from home and I became intrigued by all that was happening across the hallway. It emerged that there were two women and one man – all from Romania – living and working there. As a way of entertaining myself, I began having a little fun with their male callers – purposely bumping into them in the hallway and being nothing short of a nuisance. 'My name is Domhnall and I've just moved in – you must be my new neighbour. What's your name? That sort of nonsense – but those looks of panic etched across their faces as they tried to make up some excuse or other almost made up for the sleepless nights. 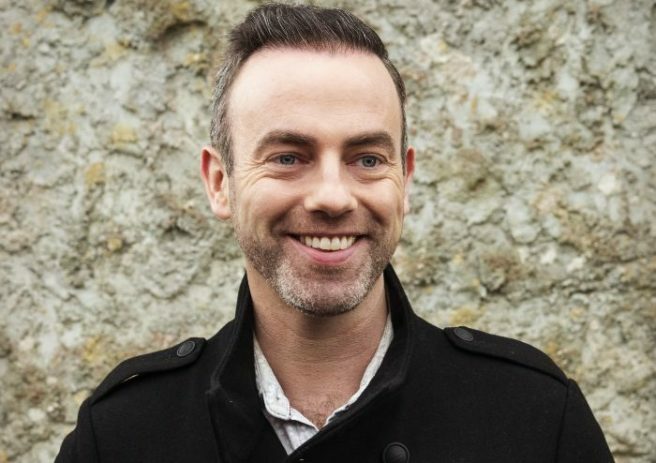 Running parallel to this tomfoolery, the marriage equality referendum was being debated passionately on the radio, television and across the media. How often I rolled my eyes skywards when I heard or read the argument that the gay community was “a threat to the institution of marriage” when there were queues of men – many of whom were married – lining up outside my next-door neighbours’ apartment and the massage parlour. However, it wasn’t just in these two aforementioned properties where happy endings occurred – these experiences gave me the material to write my new novel, Colin and the Concubine, a light-hearted farce about a baker named Colin who – surprise, surprise – lives beside a brothel. My stint in that particular apartment was short-lived but I believe that soon after I left, the Gardaí caught wind of the high jinks taking place and neither brothel continues to exist today – at least in those locations. Where those ladies are today is anyone’s guess; my only hope is that they aren’t in danger. 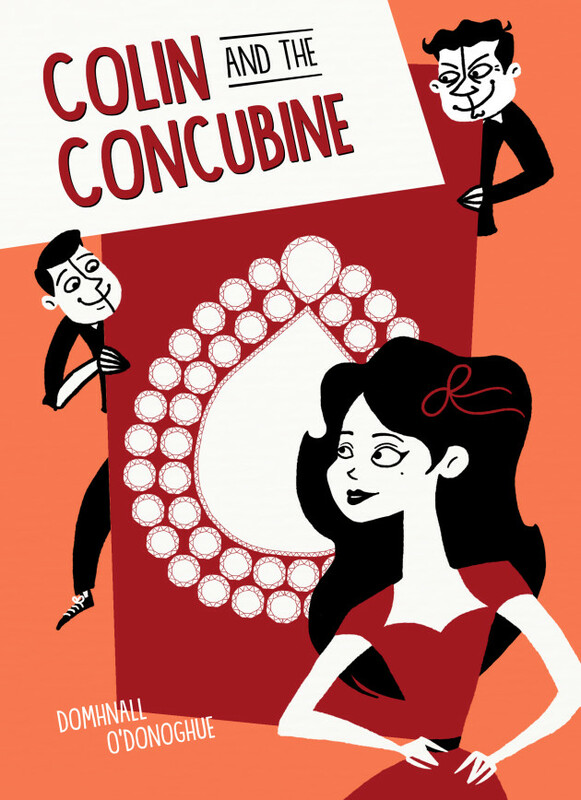 Colin and the Concubine is available nationwide and online from mercierpress.ie.